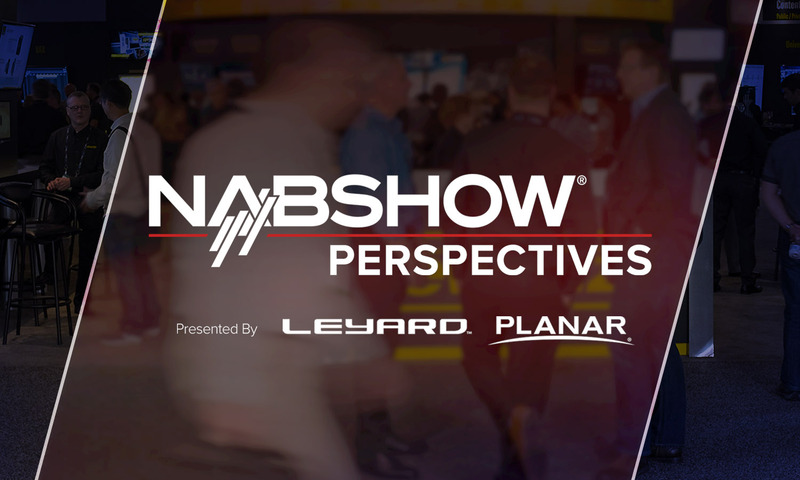 NAB Show Perspectives: What trends are driving broadcast in 2019? Ahead of the 2019 NAB Show and as part of our NAB Show Central coverage, NewscastStudio convened a special edition Industry Insights roundtable. In the first of our series, which will appear between now and the NAB Show in early April, we look at what trends the panel feels are driving the broadcast landscape this year. Our group of respondents makes up a large cross-section of broadcasting industry vendors touching all parts of production and engineering. “The entire industry is focused on finding opportunity in a landscape where revenue streams, distribution channels and technology are all changing rapidly. Primestream helps broadcasters manage this change with simple and efficient workflow that can grow with them as their needs change. Managing change is at the core of what they are doing, and also at the core of where we can help,” said David Schleifer, chief operating officer of Primestream. “An important trend for 2019 is the market acceptance and quick implementation of upgraded equipment based on the new SMPTE ST 2110 suite of standards for professional media over IP networks. These new standards were designed to support separate video, audio and data streams in real time for live production, play-out and other professional media applications, but they could result in more significant changes to the industry. For example, because they provide separate signal paths for digital audio and video, they will alter existing television workflows for easier manipulation and processing of the audio tracks. Audio processing can be done using less equipment because files do not have to be de-embedded and then re-embedded, which is the case with the older baseband SDI format. And cabling is a breeze, because a single Ethernet connection can support hundreds of uncompressed audio signals. We think this trend will lead to exciting improvements for the entire broadcast industry,” John Schur, president of The Telos Alliance TV Solutions. “In recent times, multi-platform content has witnessed a meteoric rise; original content is being created at a pace never seen before, and getting it to domestic and worldwide viewers is the #1 priority for content creators of all sizes. With multiple formats, versions and vendors in play, automation is proving its mettle as the key driver to help solve critical operational challenges. Embracing automation across the content supply chain, powered by ONE software across the enterprise (rather than multiple standalone MAMs for different departments) is helping broadcasters enhance efficiencies to meet their business goals. AI-led solutions and services are also playing a pivotal role in shaping the industry landscape, enabling broadcasters to reduce the amount of time, money and resources spent on core content operations. AI-driven technology is making the process of content discovery faster and more accurate, adding tremendous value in multiple use cases across the content lifecycle – right from creation and post production to distribution and marketing,” said T. Shobhana, VP and global head of marketing and communications for Prime Focus Technologies. “The use of real-time technology to generate graphics, virtual sets, and AR-enriched programming is one of the major trends we’re seeing. Real-time game engines like Unreal Engine are enabling broadcasters to create much higher fidelity visuals, much faster, than ever before. Viewers are responding enthusiastically. For instance this past year The Weather Channel’s mixed reality segments on Hurricane Florence and the California wildfires went viral, because they were able to convey potential dangers in a new, very tangible way,” said Marc Petit, GM Unreal Engine, Epic Games. “AV over IP, Live streaming to platforms such as YouTube, Facebook, Instagram, Twitch, audience interaction via social comments,” said Oliver Breidenbach, CEO of Boinx Software Ltd.
“Remote production and the integration of any kind of specialty or cheaper cameras into live workflows,” said David Bourgeois, founder of Cyanview. “Top trends to watch in 2019 include the continual transition to Broadcast IP; HDR implementations and workflows as they spread further across production, post and delivery pipelines; the move to 12G-SDI for higher bandwidth, deeper color, and higher framerate support across single cable baseband video; and the increasing demand for OTT video supplemental services for broadcasters and the primary needs for streaming-focused delivery platforms,” said Bryce Button, director of product marketing for AJA Video Systems. “The move to IP broadcast infrastructure seems to the hot topic that most of our clients are discussing, and several are actively adopting these architectures for major upgrades and launches. In itself it does not directly affect our core solution but, as always, it drives investment and creates new opportunities which we strive to address. Our systems have always been based on IP control. In the past it was often over dedicated, simple networks. Today however, this is less and less accepted, so carrying the data over ever more flexible and powerful IP networks has to be supported, and seamlessly integrated. Fortunately, our network traffic is light and can usually be easily combined into these larger systems, even stretching between production centers in different cities,” said James Eddershaw, managing director of Shotoku Broadcast Systems. Attending the 2019 NAB Show? Register today for free and save $100 off the Conference Flex Pass or Post Production World registration. Just use code MP01. “ATSC 3.0 implementation is the big story. It’s the promise of 4K for the masses – but much like the transition to HD, you need to have the proper infrastructure in place. There’s also the question of which “flavor” of 4K will be chosen. Could we be headed for an updated 720p/1080i argument? Finally, broadcasters are testing with HDR now. Will they choose 4K HDR or HD HDR? It’s going to be an exciting transition with lots of opportunities, but there are still a lot of questions,” said Craig Yanagi, national marketing manager, JVC Professional Video. “In 2019, we see the continued buildout of hybrid cloud architectures. Hybrid cloud, defined as clients using a combination of private (on-premises) services along with cloud services from AWS or Microsoft Azure. We believe the deployments will continue to be hybrid. Although the cloud is a great deployment option, certain workflows will always be on private services for a number of reasons including security, costs and accessibility,” said Rick Clarkson, chief strategy officer for Signiant. “Advertising efficacy, otherwise known as attribution, and ROI analysis. Television and radio broadcast continue to be viable media for both national and local marketers. They offer unparalleled reach and branding capabilities, but there’s an increasing need to validate content, mainly advertising that is not digital (i.e. 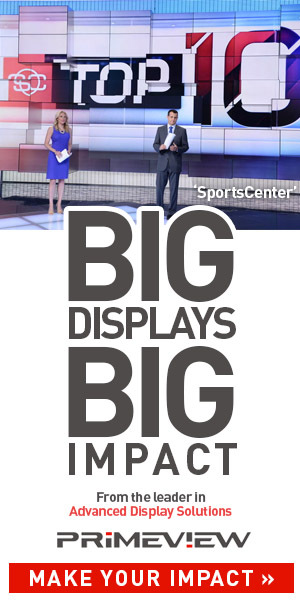 advertisements running on-air over through Radio or on linear TV broadcast). In addition, taking into consideration the woes that digital video platforms, including YouTube, are dealing with as it relates to sensitive or objectionable material (see big brands that are pulling ads from YouTube), broadcast provides a powerful alternative while remaining compliant to industry regulations. This momentum should not be taken for granted, and the broadcast industry needs to continue its investments into innovation and rapid content creation while keeping up with technological demands, such as five-screen support, 4K to 8K, and others,” said Ryan Steelberg, president of Veritone, Inc.
“I think that it relies on three key aspects. First, to have new connectivities available to achieve immediacy in content delivery and remote production (adoption of IP and Cloud technology). Second, to have new tools for the ‘smart’ automation of repetitive tasks and processes to gain efficiency and speed at work, and focus on the creation of quality content ( IA technology). And third, and no less important, tp bet on ‘targeted content and advertising’ for specific audiences, depending on their tastes, interests and of course, on the screen through which the content is consumed,” said Patricia Corral, marketing director for VSN.